Win a Cruise of Miracles – Share Your Story! This summer you are again able to win a cruise in the Caribbean with Almine. During this 7 day cruise you can attend Almine’s Cruise of Miracles spiritual retreat as part of your prize! Share your ‘Almine miracle story’ and you can win one of the two grand prizes! Just image the combination of sailing the Caribbean, meeting Almine, joining in a spiritual retreat on miracles and doing so with other members of your international light family. 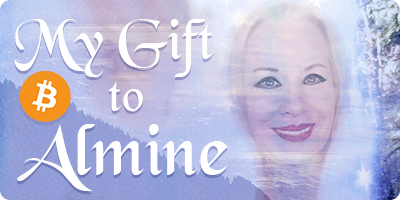 Share your miracle story about Almine’s teachings or Almine herself in the comments section below or on the dedicated Ascension.net thread. Do so from the first week of June to Friday August 15th. The 2 winners will be announced during the Awakening from the Dream radio show on Saturday, August 16th. You can enter as many miracles with Almine as you’d like. Every time you enter one, your name will be added to the draw box one more time. The names will be picked randomly and will not be based on content. Have fun in sharing your experiences and enjoy reading those of others. This is a wonderful opportunity to remind us of the magic of life and the magical perspective. Prize include both the cruise (late January, early February 2015 – exact date to be announced) and the ‘cruise of miracles spiritual retreat’ on board. This spiritual retreat consists of 18 hours of lecture by Almine while the ship is at sea. Transportation to and from port of departure is not included. Your miracle stories can be added to SpiritualJourneys.com or become part of a book in the future (read more on that below). Want to share your Almine miracle story but have questions first? No problem! Shoot us a short email at [email protected] and we will do our best to help you out! You might remember that in 2013 Almine also gave away a Caribbean cruise. The lucky winner back then was Ailsa from South Africa. You can see more of her grand adventure in this post called ‘The Most Powerful Experience of My Life‘. This year’s entering into the ‘competition’ (really, for lack of a better word – it is completely random and it is more a happy sharing of experiences that remind you of the magic of life) will be completely different. We want to hear your miracle stories with Almine! So, no searching for deep wisdoms like last year, just the sharing of your story! Do you have a miracle story with Almine? Had an injury healed with Belvaspata? Had visions of Almine before you ever knew what she looked like in real life? Did you work through trauma you never thought possible with fragrance alchemy? Or did you perhaps achieve forms of the stillness of the mind with her techniques? Let us know! You can share one or as many miracles as you have experienced through Almine. All miracles that you enter will go into our now infamous high hat (the draw box) and are eligible to win one of the two spots at the end of the competition. As a side note, a miracle doesn’t have to be something huge with angels blowing trumpets in the background. It can be something subtle, yet powerful that you have experienced with Almine. Something that changed your life in a way you see wouldn’t have happened anywhere else and you consider to be a miracle. We love to see what you come up with. These books are an alchemical equation in of themselves, each page of a book adding in an alchemical way to the next page, thus creating a book that is really a power object. All of these 7 books put together make one giant alchemical equation. The miracle stories shared by you in this competition, may be used to help create one of these books. You will be literally creating one of these alchemical power objects with Almine. This year’s miracle story event is the brain child of the Russian office of Spiritual Journeys. They have been receiving so many miracle stories that they have been running a small competition like this for a little while now. To honor the gracious sharing by our Russian speaking brothers and sisters, and for getting the ball rolling, we would like to invite them to this English competition too. If you are Russian speaking, you can add your miracle story to this English competition as well by sending it to [email protected]. He will translate it and enter you into this competition too. Add your miracle story! Either in the comment section below or on the dedicated thread on Ascension.net. It can be as long or short as you want and everyone who enters can win the grand prize of one of the two cruise + retreat tickets. We are really looking forward to see what you are going to share with us! Update August 16, 2014 – Winners Announced! With gratitude in our hearts for all of you sharing, we announce today the winners of the Almine miracle story ‘competition’. From all of your entries we blindly picked 3 winners (yes, 3! Almine wanted an extra winner). Read the winners in our blog post here. My miracles with Aline can not be said in one story, one incident. It is an unfolding of my reality, every moment, every day. In love, praise, gratitude, trust. I was introduced to Almine’s work less than a year ago. I have experienced miraculous physical transformations including reduced weight, elimination of joint pain, and DNA restructuring. My world has been deeply enriched through fragrance alchemy and angel elixirs. Almine has opened the portal to another reality and I continue to develop my relationship with the hidden realms beyond anything I knew was possible before. Love, Praise, Gratitude & Trust. The first time I was practicing while listening to Almine guided mediation I was a bit fearful because I was a severe vertigo patient for about 3 years, but as I was listening and follow the instructions the dizziness almost melt away (I meditated once since then the dizziness attacked me twice in almost 3 weeks while I used to have it daily). Thanks to Almine healing words, she was speaking right to my heart, direct to me, her voice was so alive like she was standing right there before me and encourages me to do what I feared most. Again when I continued with the meditation oh my.. I suddenly saw a glassy and gold like bodies of mine, it was so strange, I was up there in the air formless yet aware of all the happenings and as I was watching my body, I first saw the glassy like physique of me, the colour is like light snow white glass … it’s hard to put what I saw into real words and then my left leg was kind of break/split open and I saw the golden body beneath the glassy one. A PEAK EXPERIENCE IN MY INITATION. To Write the experiences I’ve had with Belvaspata will be like writing a very active part of my life that allowed me to be reborn. It all started in 2010, when Lupe Luzuriaga tells me about this new spiritual teaching whose founder is Almine; and as a staunch seeker of truth I became interested in this, always wanting to find something new, something different that brings me closer to the realization of the Divine. I’ve had countless inner experiences, because I have a very sensitive emotional and physical body. I had my first real experience with BVP when I received the initiations of Master and Grand Master levels , and I should point out that I decided to do the study and initiations of Master and Grand Master due to a very strong internal urge pushed from my granddaughter a beautiful little angel who died a year ago; to whom I did the BVP Kaanish during the thirty days of her illness. That was an event that overwhelmed my life for a few months, It took me to a great depression and existential crisis especially on my spiritual beliefs conceived until that time. Then I retired from all study related to my spiritual growth and I started to investigate the mysteries of death; however I kept listening to the music of Almine because deep inside of me I felt that her voice and the sound gave me inner peace, calmed my sad soul, and at the same time I felt that my little girl, my little angel asked me to listen to the music to calm down, so I decided to play it every time I thought about her , the fact is that I thought of her everyday. I gradually started restoring from the tremendous emotional pain and physical lethargy in which it had plunged me this mourning. Certain day I dreamed with my granddaughter , the dream was not clear but I felt like as though the little girl apparently was urging me to finish the studies, then I decided to study and internalize all the requirements requested for initiation of Master and Grand Master levels, I was already initiated in levels I and II 2 years ago. When I felt I was ready I asked Lupe to initate me before she went on vacation. After the previous meditation for initiation Lupe put some sigils in various parts of my body and then I felt like my body was sinking and a heavy sleep came over me, relaxing my whole physical body, but not asleep, I looked very clear how Lupe was transformed into another being; her face was very similar to the actual one but younger, she had a mane of black color that reached her chin and her physical body was very tall and thin, wearing a fuchsia colored tunic, she turned to me and put something in my head; I thought for a moment that she had changed clothes for the initiation, then she asked me to open my mouth to feed me with something, and I opened my mouth, then she introduced in my mouth a little spoon with something like honey, I tasted and it was indeed sweet as honey, I can remember very clearly what I felt and tasted sweet; later she put me something on my head . When the whole ceremony ended I left the meditation state and the lethargy of my body little by little, but with a huge curiosity about what thing she gave me to taste, then I asked Lupe and she said that she did not put anything in my mouth, she had not moved at all from where I was since the ceremony started, which really surprised me, since I clearly lived the whole experience and I’m sure about the sweet taste that was in the spoon. I felt something strange when leaving Lupe’s house, I had to step very firmly because I felt the ground fragile and far. I stood on Friday with a 1.05 meter tall wooden disc before the hobby Coop. Unfortunately, the disc did not fit in my car, so I tried to find someone, someone with a big car nan the German border went and could transporieren the wooden disc for me. I could not believe my eyes when I Monika, from the Embassy of the newspaper – Bürli AG suddenly saw in front of me. I was able to design my images always with her years ago. “Then I’m coming just right,” she lsagte smiling. I gratefully accepted her offer. So we brought the wooden disc in the carpentry to let this one make a round disk. I was able to pick them up on Monday. A very well made up in detail a perfect slice of Venus image, a Sphere and venusiasische forms to create for Lia, one of Mother Earth very dear old soul. Then, after the carpentry drove Monika and I built with love and devotion by Axel, a sweet redhead with green blue eyes in a small South Baden city to a salt cave. it was just adorable beautiful. My body wanted to get up and so I begannn me to stretch in the stand and stretch and stretch out, noticed how brought the body into balance. When I opened my eyes I saw in the middle of the room about 10 blue, green, türkisene beings with human form but from water from 1.70m to 2.30m. I saw no faces. I also saw them with my eyes closed. They imagined that they were the Udinen. OK. I let this simply times radiate in me and felt the serene effect of Udinen. After that, my Lady has there yet paid quite a lot of plastic socks which I took for the home, awesome when jemaand came from outside and this could quickly put it over the shoes. Home arrived I checked in Google from what undines are. Undines are female water spirits. They are the elemental beings *, head inside and guardians of the water element of this earth. Whether in rivers, pools, ponds, oceans, the water balance of minerals, plants, animals or humans, whether salt or fresh water, so, in each wave, in every little movement of the water lives an Undine. Ride the waves of the ocean and rest in rock caves, where ferns have grown, blooming flowers and the moss gives them a soft cushion. They can be found in raindrops, hail, ice crystals and snowflakes, in ice, fog, dew and water vapor, even in the freezing cold and bubbling hot waters. Created from the fine etheric substance of the water, they are graceful creatures. As with all creatures of Mother Nature, they also have access to the water element in man. They watch over the amniotic fluid in which the embryo floats in the womb, through the tears and other body fluids, this includes the blood. In the radiance of love undines cause the water harmonious, peaceful and gentle movements. These underwater creatures are quite willing to work with the people, however, recognize him only if he knows how to lead them. Undines teach you to perceive your feelings, to recognize and develop. On the range of emotions, there are all shades from deep pain to bliss and ecstasy. Undines work with us often together on the dream level. They are our mirror for everything we do, in all areas, and help us to process certain experiences. If we care to deal with the Undine, we can balance our water element. Feelings can be cleaned, which we find health, healing and inspiration. Two days later I drove my car to Monika because she had invited me to lunch. We decided to make shared with the Undine at a source in the woods a ritual. I wanted to a waterfall, but unfortunately they were a bit far away. Once at the source was in a very festive, joyful atmosphere and erupted in our hearts. We sang and prayed and meditated there was no tomorrow. Among other things, we asked the undines to consciously connect more and more through the water with the human heart. To aim to make people realize that the water should be free, free energy. Without the so Komerz is made. Happy and embedded in self we went to a bakery to us to buy a few sweet pieces. To know at what their life paths are assigned. By their final stitches of this Age! How can we weigh all our vice and virtue? Where is that model of the righteous truth? When trumpets blow their triumph tunes! Exploring the Infinite of our Universe! An extract from the Russian song accompanying film “The Sannikov Land”. Anyone can try to perceive and experience it however long that moment lasts. One day my eye was caught by the sight of the ash tree growing outside right by the window. It was a hot sunny day. The Sun lavishly cast its rays on the branches of the tree and its leaves were shining at each other like people lying in the sun on the beach of the seaside and smiling at all passers by. Then, out of the blue, it started raining heavily and within the period of that shower the tree was thoroughly washed and its thirst was mercifully quenched. The leaves were glistening in tune with the birds’ carol praising the clarity of the air and the freshness of the space around. The tree bowed in the breeze and its branches were swinging making the leaves rustle thanking the Sky, the Sun and the Soil for the care it gets and all the things that are provided to meet its needs. A common pause made in the fuss of life stream makes you feel the fragrance of all the shades of colours and sounds of the world which is our temporary asylum for a moment in terms of the Infinity. The tree reveals its secret of being in a state of permanent happiness. It says that it doesn’t have a row with other trees ,growing on the plot, because it knows for sure that it won’t get more rainfall if its neighbour trees are cut down, either the Sun won’t shine brighter or the Wind won’t rustle only its foliage to sound louder; it doesn’t rush about in search of nourishment and it doesn’t suffer as it trusts Life by itself. The mute contact reveals awareness of the Might of the Moment in which “the ghosts of the past” are hidden such as our mistakes and losses, sufferings and disappointments .On hooking on them we miss the moment of the flowing current of life that gives a new meaning in our perception of being “here and now”. Appreciate each moment as a new “dance to the music of your heart” !Following the ash tree example ,let’s “live in a moment” thanking the Creator for everything we had, have and will have in the Infinity of Divine Love! the holiest sites not only for buddhists, but for all seekers of wisdom. The merapi vulcano continues to erupt smoke almos every day, reminding people of the Inner Force there is. I was waking through the narrow streets of tiny houses and stopped at a small antique shop. A little animal statue of bronze, caught my attention, about 15 cm long, a strange little beast. It had an elefant trunk, two horns, it had a fish skin, a body, feet and face like an antilope and it also had wings..
where it come from. I just paid, put the animal in my bad and left. Home was – as it still is – in Thailand, my base as Southeast Asian correspondent for German papers. Back at my house, I looked at this animal. Strange.. why did I buy it, where to put? I put this animal on a shelf with books and forgot about it. When I moved house to outside Bangkok, this animal showed up again in a box. Who are you, I asked.. it seemed the animal was laughing. I was confused, put the animal again on a shelf with books. and there it stood until early 2013. The only thing I knew by then, this beast was a Makara – a Makara, which can swim, fly and run. Makaras are those mystical animals one can find all over the world, here in Asia one will see them as reliefs in most Buddhist and Hindu temples. I now must be and do on my own..
painting he did through Almine showed his favorite animal just like that little statue on the book shelf. I had 12 other Makaras in my house.. wood carvings from Thailand, Myanmar, Vietnam and more from Indonesia. Usually peole people do not collect Makaras. Ustredsch has a good sense of humor. One day he was teasing me, why it had taken me so long to discover who my Antalope Makara was and that in a way he had been with me every since.. I will start with the fact that Almine came into my life not by accident: all of my childhood and youth I had thoughts about what is life and death, why people die, what will come after, how the Universe is constructed, and so on. Of course, adults did not like my questions, they did not answer them seriously, but just joked… I decided to deal with my questions myself, finding different answers from my own perception of the world. I took some desperate steps to overcome my fears, most of all fear of the unknown (the dark), and these events helped to strengthen my confidence in myself. Most of all, I knew in my heart, that I did not come into the world for no reason – moreover, I came for something very important and global, not only for myself, but for all of life. I realized this clearly to the depths of my soul when I listened to the recording of a meeting with Almine in December 2013, and all of my heart and my higher Self were drawn to her, as if I found both the answers to all of my childhood questions, and my home! But meanwhile, a few of my more striking and visible miracles connected to Belvaspata. I have to mention that the first information from Almine came to me in the form of a Krihanash Belvaspata session, done as a gift to the world by Ella Elinek and other masters. I have many warm feelings of gratitude and love to this woman, a person with a wonderful soul! In the most important moments of my life, directly or indirectly, I receive just what I need namely from her! I went through several of her Belvaspata webinars, but had not yet been initiated. That came much later, through wonderful, radiant Svetlana Ustyugova, and I received initiation into Mastery and Grand Mastery levels of Belvaspata. Belvaspata gives so much in life that it is impossible to remember and recount it all. My day starts with the music for Belvaspata, which gives a wonderful tone for the day. In an expanded state, you see all options for the day in a different light, through the consciousness of your heart. Belvaspata creates for me and those close to me miracles of healing, returning them to joyful, full living, bringing not only physical, but also psychological and emotional health! I never really had any health problems, and despite my half-century of life, practically did not get sick. But in recent years my eyesight started to get worse, as I sit at the computer every day. I started to see my eyesight improve, even though I did not particularly accentuate it during my Belvaspata sessions. Probably a lot of people go through stages in their lives when everything starts to fall apart all at once – health, relationships, finances, etc. In the spring I decided to quit work; both I and my daughters, living far away from me, all started having problems with our health, and rather serious ones at that. My oldest daughter started having a lot of symptoms of thyroid problems and hormonal dysfunction. My younger daughter had strong pain in her spine and the small of her back, with kidney and gynecological dysfunction. I understood why all this was being given to me, accepted the situation, and started doing distance Belvaspata sessions. I had not been initiated yet – I listened to the Belvaspata session that Ella had done, imagining my daughters next to me. I was able to do that 1-2 times a week. When I talked to my daughters, I asked about their health – after only 2-3 sessions they were much better. After being initiated, I started doing sessions myself, adding Kaanish Belvaspata. After 3-4 weeks, when I asked about their health, my younger daughter answered that everything was great – nothing hurt! ☺ And my oldest daughter was very happily surprised that her menstrual cycle went by with no pain, practically unnoticed. I also did several sessions of Belvaspata with my sister, who has had a whole bouquet of illusions of disease for the past 20 years. After the sessions she unexpectedly contacted me, sending me a message that she had decided to sell her house ☺ I have received and continue to receive great and blessed gifts from the Infinite every day of my life! There is so much I would like to tell and share with you, my dear and beloved light family, but that is impossible in one small story … Even the affirmations I wrote out from Almine’s book, Secrets of Rejuvenation, which I repeated for 3 months in a row, brought so many changes to my whole body, I felt 10 years younger!!! Now, after Almine’s receiving the ceremony of rejuvenation “Esklanavit vervusta,” the results are already practically doubled! ☺ The result is only important in that it helps me to understand that I am everything, and everything is me. When life proceeds in complete and conscious trust in the Infinite, every second of life is treasured and brings joy! My life of miracles is continuing … I am grateful from my whole heart to Almine, to my mentors and to my higher self!!! I am grateful for this opportunity to share my insights, revelations, results in various areas of my life in the flow of the Infinite! Praise, Love and Gratitude!!!! Thanking the universe, the creator! Into the journey of life without end! Thank you Almine for teaching me how to “Live a Life of Miracles”. My home is a sacred temple where millions of flowers bloom and bees hum. My annual income has multiplied substantially. The resources to travel to workshops and study with Almine are always available. So far most of the goals I set for my life have happened beyond my wildest expectations. I have confidence the remaining hopes and desires will unfold in their perfect timing as I continue this journey with Almine. Every day is exciting, joyful, filled with brilliant color and perceptions. I walk around my home amazed at the beauty, color, peace, and serenity within and without. I can accomplish much more in a day than I ever thought possible before I met Almine. Instead of managing and assist with the business for two clients I now manage and assist with 15. My five children’s lives also flourish with blessings. Deep meaningful friendships abound, as the most interesting people come into my life. My body feels youthful, vibrant and strong. I smile and nod with gratitude as most of the time I am automatically upgraded to first class when I arrive at the airport. Whatever I need or desire, I toss out a wish, and it appears sometimes even before I am aware I needed or wanted it. I ask a question and the answer appears. I express a wish both large or small and it arrives in it’s perfect timing. Almine describes lately “Living from the Field of Hope”. I realize she is teaching me to do just that. My next challenge is dreaming large and deep enough for what the upcoming days may hold. Thank you Almine for this exciting and adventurous journey. I need your help! On Monday this week, my Beingness went into total horrifying, unimaginable, unbearable pain on my left leg and hip. My cranial bones became unstable which did not let my hip and femur bones stay in place and so my left hip and left femur could not stay in place, causing horrifying pain. This cause me the greatest pain unimaginable. I could feel memories, feeling, emotions, and energy stuck in my cranial and left his and leg. It got so painful I could not walk and had to put myself on crushes. The emotions pain in my Beingness was the worst pain, I have felt—I felt I did this for me, Gods and humanity. I know the left hip is feminine and feminine stability. All I could do was cry for help and ask help from the Goddess, Almine and The Infinite. I cried for two day, night and day– Monday and Tuesday. I know Almine is in Copenhagen this week and the planet is moving into resurrection, complete integration of masculine and feminine as the Ida and Pingala merge. It has made me so weak that I can hardly walk feel drained and exhausted. My legs will not carry me. Thank you so much. I will let go of martyrdom and agony. I would of emailed you earlier, I was just try to stay alive—just one breath at a time—- one breath and then another. Helena Banat did lots of BVP on me and that helped enormously. At least stabilized my emotional body, so I could let go and shift. Today, my consciousness come back to me, so I could email you. This evening my cranial and joints are lot better. just need to let go of the great pain in my left leg bone. Since I know it is martyrdom and agony, the rest is easy. The pain should subside to night and tomorrow and should be able to walk again. Thank you for all your help and insight. I consider this a true miracle. In june 2013 I woke up with a poem on my lips in english (even though I live in Denmark). I immediately wrote it down, and the moon was shining in one of the lines. A few days later I was told – and also read – that the original moon was back in cosmos. It had replaced the artificial moon. I had always wondered, why I felt uncomfortable with the moon. I finally got the reason, and I was happy, that the original moon was back again. At the retreat in Copenhagen in august 2014 Almine mentioned the moon. I gave her the poem my lips dictated in 2013. She read it aloud for the group. I was happy to share it with her and my light family on the retreat. It would also be a joy to share it with all of you, who did not attend this retreat. So here it comes. In the same period I also took some strange photos of the moon. They are posted after the moon poem on Ascension.net. (At that site I have also posted other contributions. For example my journey – so far – with beloved Almine and my wonderful light family). Being a lotus yet to bloom. Rest in ease on a disc of the moon. Follow the breath beyond life and death. In fluid expression of infinity. In the same days I also took some strange photos of the moon. They are posted after the moon poem on Ascension.net. (At that site I have also posted other contributions. For example my journey – so far – with beloved Almine and my light family). A few months ago my son called me in the middle of the night. He was very sick. He couldn’t get out of bed. He had a terrible headache. He couldn’t move his head. The moment he moved he had to throw up. He was in Leuven at the university. I went there to get him. We called the doctor. My son did not get out of bed for two days. He was incredibly sick. His blood pressure was 8 to 5. I had to help him to the toilet. He could drink a little water, that was all. After the second day, I thought,it can’t go on this way, so I did the Toltec healing. At that time he did’nt even drink anymore. He had paratyphoid, a terrible disease, but I didn’t know that at that time. So the morning of the third day I did the Toltec healing and a few hours later, he was standing beside his bed. Headache gone, fever gone. He was still weak, but it was much better. I felt the healing trough whole my body. It was very strong. It was truly a miracle. He also had the day before received antibiotic from the doctor. So it could be that he responded so well. Two days later I had to call the doctor for further results of his laxation and the doctor then told that he was resistant to the antibiotic. At that moment I was so grateful for the healing that I did. So it does work indeed. This is the story how Almine’s channeling has impacted me. I am from Singapore and I did Abundance yoga in Singapore with a teacher who had been trained to the level of grandmaster by Almine. The abundace yoga is the one Almine had come up with. I did only 4 lessons of the yoga once per week for 4 weeks. The moment I heard the music I fell in love with it. More so than the postures I found that the music had the greatest impact upon me. After I did the yoga, I found myself opening to greater depths of abundance int he physical realm. But the most important turning point came during the fourth lesson. Suddenly I coughed during the lesson. Then though I did not think anything of it, my teacher insisted that once someone coughs in the lesson, she knows it means something is happening that wants to come out. Also take note that miraculously on that day only I turned up for the class! She kept askign me to let it out. Then at the end of the lesson she came very close to me, put her hands on me and told me to let it all out. She said “I know you are wanting to let something out. let it out. You know an ancient language of light. You are able to sing in an ancient language of light. Let it all out”..I really did not know what to say. I did not feel like saying anything. Besides I never believed I could sing. But since my teacher kept insisting, I just decided to open my mouth and say something. Then in a few moments, I started toning in a very strange and loud way that I have never done before. The energy was extremely strong, full of sadness and my whole body reverberated so strongly in such an extreme manner. My voice was so loud and the toning turned into minutes of screaming that was full of sadness. Then for the first time, after the whole episode was over, I felt so dizzy so unable to get up and walk. I then tried drinking water but nothing worked. I then started jogging on the spot for 5 mins before the dizziness went away. Then a couple of days later, for the first time, I released so much fears with so much shivering for one hour continuously and in a day I lost nearly 5 kg and went down 3 pants sizes. The story that I want to tell happened with me on Sunday, after the webinar Qi Vesta + Zero Point. In the evening, when I was getting ready for bed and, as usual, closed my eyes to think about something pleasant, with surprise, I found that with my eyes closed it was somehow very light, as if my eyes were not closed at all. Realizing that this light was real, I saw the source of this light. There was a ball of light over my head, the size of a regular light bulb. For a few minutes I observed the “light bulb” slowly go out and suddenly… I am in a different place and even a different era, maybe even a different reality. I am in a hut. Outside I can hear alarmed voices. I go to the improvised door, lift up the curtain and look out. I look through the crowd of people standing near the door. They step back and a man steps forward, holding a boy about eight years old. I step back from the door to let the man through. He quickly comes into the hut and places the boy on the floor. I bend over and see that the boy’s leg is seriously injured, there is a lot of blood, the bone is sticking out… The boy is unconscious. I KNOW what has to be done… I put my hands on the boy’s leg, concentrate, expand, and manage to notice or feel a warm flow of energy through my hands, a light coming from the palms of my hands covers the wound of the child… “Everything will be all right” – this was the first thought, and it slipped between epochs of time. I am back home. I try to stay in the state that I was in there. I feel an unspeakable inner silence in every cell of my body, a deep peace, and something else that is impossible to describe, filled the entire space. There are words that describe this state of being, but they are, as yet, unknown to me. Someone taught me a wonderful lesson!!! I won’t describe all of the ponderings of my mind about this and words of great thankfulness to everything and everyone and myself in the past… I decided to try the same thing – that day my cat had bit and scratched me, my left hand had a cut from the bite and two scratches. For many years I had asked myself many questions and had searched for the answers, but the answers always led to more questions. I went from one school of magic to the next, and the answer kept slipping away, farther and farther. When I became acquainted with the teachings of Almine, I understood a very important issue – the answer is in me. Everyone has their own personal reality. If the reality changes, the questions change, and vice versa. And not one, not even the Greatest teacher, who seems such in your eyes, cannot answer your questions. When he tries to answer your questions, he is answering himself. The teachings of Almine do not evoke any questions in me. And this is not because I know something, or don’t know anything, but because I know that I WILL KNOW. Almine swims in the Ocean of Life without stopping, engulfing my current even before I can create dams of questions. My story, the story of my family, has carried the generational (ancestral) trauma of war, injury, ruin and death. This was repeated in generation after generation long into the depths of time. All of my conscious life, in different spiritual and physical practices, I have worked on this trauma, which manifested physically in me since childhood in the form of heart seizures. Several years ago I realized that my first heart seizure (at age 5) happened at the same time that my grandfather committed suicide. My grandfather was injured in the World War II. After his contusion to the brain, he started to go blind and eventually lost his eyesight completely. My father told me about the suicide of my grandfather when I was already an adult, not long before he died himself. When I first read the book by Almine, Life of Miracles, I felt that Almine was the one who could help me deal with this karmic trauma in my heart. That same evening, my room filled with angels. A woman with white hair (I didn’t know then what Almine looked like in reality) was with them. It seemed to me that they worked with me all night, there were very strong energies. And during the course of the next two weeks, many events happened in reality and on subtle levels. I saw the original karmic reason for this trauma. This was a big shock – I saw a huge field of people, killed through “my” fault; it was very difficult for me to come out of this field and the horror I experienced there. A few days later, I “woke up” in the night and angels showed me a picture of all of the dead warriors coming back to life, putting down their weapons and armor, and melting all of this “iron” in a huge bonfire and making it into a figure. I asked, “Who is that?” And they answered, “It is the Angel of Peace.” The trauma in my heart, from which I had pulled swords, knives and spears my whole life in various meditations and healing methods, was healed on the etheric plane. So, thanks to my first meeting with Almine in the etheric, I was able to heal a trauma that had plagued my since childhood. I had a serious trauma of the spine after a car accident many years ago, and the doctor’s prognosis for me was very sad. My right arm would go numb, and I had strong pain for many years in my spine, especially in my neck. After the first session of cleansing the spine from the ceremonies of Hadji-ka, I went back to the trauma – the car accident. Even though I had worked through this many times before, now it was time to deal with it on a new level. I felt strong pain, but I could not talk. After this episode in this life – the accident, during which my head was almost “torn off,” my former husband and I were quarreling in that moment, and stories opened up from former lives: They are reading a (death) sentence that resounds like thunder in my head, black magic… I can’t make any sense of the verdict. Then they try to burn me in a fire, but my body doesn’t burn, and it doesn’t hurt. In horror (that the witch isn’t burning), they cut off my head and cut my body in pieces, carrying them to very far away places to bury separately. Obviously I was not ready to see something like that before. Now I experienced no fear, only strong nausea, I watched without emotions. Earlier these kinds of episodes evoked a very strong emotional pain. And then the angels quickly put the body back together and without pain, but the head they added slowly, and my neck really hurt, and my head…And then for a long time there was the feeling that they “sewed on” my head, but it wasn’t mine. And I saw other people’s stories, endlessly, about similar fates. Apparently, this was the time when I got stuck in the Akashic records. (Afterwards, when we got the entire translation of all of the Hadji-ka ceremonies, when my spine started to hurt, the next ceremony for cleansing the pranic tube immediately harmonized these symptoms.) My head still hurt in the morning, but my neck felt unusually free, there was only a slight pain left in my throat. The story with the body parts, scattered far and wide across the Earth, unexpectedly continued. My right arm didn’t “take hold” (assimilate). The whole next week the pain grew stronger and my shoulder was out of joint. For hours I would work with my body: stretching, self-massage, isometry, swimming. Because I went to the starting cause of my trauma, my body cannot always deal with it without help from someone else. My shoulder would go out of joint, then like a card-house falling, my whole spine would start to go out of alignment, then everything would start to go out. And so going for physical joint realignment was unavoidable. At least that is what I thought for many years of my experience through pain. But this night a Miracle happened! When I woke up in the morning, I saw that Almine and the angels were still working, bending over me. And I felt such a GREAT Thankfulness, the first time in my life with such force! Rivers of tears flowed, my heart opened up to the whole Cosmos, and I finally woke up the rest of the way. I was lying on my right arm, and there was no pain. I couldn’t believe it, and started to turn over very slowly and carefully. My shoulder was in place, my whole body felt like after a wonderful vacation. My miracle story is an on going miracle since springtime 2013..
was one day on the computer and found everything that Almine share..Almine”s teaching is for me as coming home and healing at the same time..looking forward to join retreats and learning belvaspata and much more..Almine all my gratitude for what you and all the team is doing i cant describe in words:) Thank you million times.. I have so many miracles which have occurred working with Almine and all the amazing things brought in by her. My latest has been working with the Hakulit Spiritual Counselling system and the Qi Vesta cards. One person at a time I have been doing readings and watching the most amazing transformation and at-one-ment happen. It has been as if each person is one significant piece in the puzzle of the One…which I already knew, but now it was visible in the reality before my eyes, clearer than ever before. My clients, after the reading, were placing their sigils under their beds with the most miraculous results. One was dreaming of her father, with whom she had not forgiven for childhood abuses. He came to her and they spoke, he shared his shame and fears and she accepted him with open heart. Upon awakening, this sister was healed so deeply and so full of emotion, she had to call and share with me. Another sister, after her reading, experienced great release of sadness which had been weighing her down to the point of contemplating suicide. A short time after the reading she thanked me profusely and said how she could see her relationship with her son changing because of the dramatic shifts she had experienced through the cards and her reading with me. Sister and Brother after sister and brother have called, written and come to me in person to share their deep healing experiences while I personally have seen my own life turn upside down with glee. Here’s my Almine Miracle Story! I went to Almine’s workshop July 2014 with my sister. A few days after our return my Amazon Parrot (Matey) bit my Green Cheek Conure (Nibbles). Matey literally bit him so badly that it took out his first layer of muscle and partially his 2nd layer of muscle. Exposing muscle, tendons, etc. With this open wound and no way to stitch it up, the vet declared 4-6 weeks of healing time. My sister, Nancy, and I both would work with Nibbles using Kriyavaspata. 2 weeks into his healing the vet remarked that he is healing “fantastically well”. This morning, 20 days post injury, I went to put the ointment on his wound and it was GONE!!! His wound has completely healed!!!! THANK YOU Almine!!! THANK YOU Kriyavaspata!!! Almine played a large role in helping to change my life for the better. I was addicted to substances most of my life. After seeing her and hitting hard bottom. I have remained substance free almost 2years now and going. I am not same person at all everything has changed in my life. I witness miracles daily yet the biggest miracle so far ive ever seen and ive seen alot has been the miracle of sobriety. I have great love in my heart for Almine because of this and many other reasons. Thank you for this awesome opportunity to win a cruise. Wow really cool you guys doing this. Much love to the A team too. After my first retreat with Almine I noticed my sense of smell changed. I became very sensitive to earthy type scents. It has lasted for years now. Many things changed but this really impacted me. Almine is the most amazing person I have ever met. A daily miracle to have her in my life. My father is in the process of transition / passing, and I have experienced this with very mixed feelings, ranging from joy to utter heartbreak and devastation. For more than just a few months, I have not practiced BVP in any way, (or any other teachings / awareness for that matter), and I have to admit that the last serious encounter was during October 2012 on retreat when Jan Alvey visited South Africa. My father and I have had a few issues of unsorted things, and looking at him, helpless and speaking very little, with the almost ‘classic face of death’ already visible, my regret has already reached enormous proportions. He sleeps most of the time where he is being taken care of at the nursing home, and there doesn’t seem any chance of improvement considering he is 84 years old and heart failure with pneumonia as a secondary condition. In facilitating for my friend, my father entered the space in a very strong presence, and it became a dual session which had the same intensity as a session done a few years ago for my autistic nephew with dramatic results. There were vivid presences and images around these two men. In this session, I used the eagle meditation to start off with, and the Cosmic Lemurian Symphony repeating as I completed the facilitation. On thursday evening, a family friend visited my father, and he phoned me from there, letting me speak to my dad, who talked about a few different things, but also thanked me. I was confused for most of the time, not really sure what it was all about. Then, the family friend told me a day later (yesterday), that my father asked him to thank me, for as he put it, me leading him through the trauma and obstacles to the other side. (and also a word of thanks for the entertainment, which I think may have had to do with my enthusiasm regarding the star races which I talked about often, as he called it, ‘my space ships’ and stuff. When I realised that my dad had consciously experienced the BVP session that was facilitated, I felt completely ‘off balance’ because of the huge ‘vastness’ of it – transformation had indeed taken place in this session, and seeing him yesterday I was convinced that he was just going to ‘slip away’ within hours. I facilitated another session for him last night, and from being too weak to even have a cup of tea on his own, he telephoned this friend (on his own), at 7 this morning with tremendous clarity. For any reader, this may seem insignificant possibly, but given that my dad confirmed being lead virtually consciously, and the fact that any unfinished issues were now automatically resolved, even if my dad is unable to verbalise those, he is free and I am free from any regret and issues whatsoever. It is a wonderful confirmation that even when this is the first initial (outdated?) BVP, the intensity is ever as active as it had been before, and I am humbled in such gratitute as I feel that yes, the facilitation process is there, but whether it is all as it was then, or as it is now, for me the intent of the work was effortlessly as intense as I was hoping for. Open Heart Miracles…During a March 2012 personal retreat with Almine she said she had to jump start and erase my medulla, my hard-drive to clear the pathways, the trauma and ghostly imprints of death from my heart bypass heart attack and surgery episode in 2005, I was dazed. She said in Egypt they had an instrument that could re-boot the medulla so people could be ageless. The following day Almine said this is the day that your heart will be healed. She said no more will the feminine be blocked from expression, forsaking herself and forgetting what makes her happy…only seeing the obstacles which was abandonment of Self to support others…I realized then I had bypassed my Self. Later that week we found the missing 8th feminine tone of supported diversity and mutual inspiration. In 2013 I attended the Ohio retreat with Almine and her team and received all levels of Belvaspata. After being home, one morning I woke up feeling lack. It surprised me because I had not felt that feeling in a long while. I asked from within,” how can I give?” and decided I would explore volunteering in the community. This particular day I pre-planned to go to a quiet part of the beach and work with Kannish Belvaspata and experience all sequences. As I am at the beach well into working with the wheels someone walks up and says, “are you doing energy work, I feel it?” and mentions how close the birds are lined up and facing certain direction. At that moment there was a part of me that didn’t want to stop what I was doing knowing I would have to start over another day, yet I chose to allow and explore the profound. The gentlemen then sat in front of me and I explained Belvaspata and offered for him to join me. He chose no, yet asked if he could share something personal and went on to say that he had slept on the beach the night before due to his car being repossessed with all of his belongings in it and had no home to return to due to a break-up and had lost a profitable business out in California. As he spoke the realization of the opportunity to give was sitting right before me! I did not feel guided to take him to my home, and asked from within “How do I help this person?” A specific hotel downtown came to mind, I took him there and the cost of the room turned out to be within my means. I then took him out to dinner and gave him money for food the next day. The experience was so much fun…the illusion of lack disappeared and was replaced with abundance. As soon as we boarded the boat I went within and invited the dolphins to come and play. A couple of hours later I’m sitting on the big cushion at the front of the boat by myself feeling open, grateful, reveling in colors of the sky, ocean and warmth of the sun ..all of a sudden a dolphin flies up high in the air right in front of me like a private show at Sea World. I jumped up with so much excitement looked back at the captain and he motions me to one side of the boat where 4 more were swimming along-side. I am so grateful for Almine blazing the trails. My miracle is like a chain reacción since I came across Almine. I’ll try to be concise so as to show the dots. April 2014- Almine appears on right side of my you tube screen, I ignore a bit but not for long. I Order 5 main books and start watching all you tubes I can. May 2014- I ask my kabalah why I should be at the Genk retreat … Answer because I have asked to go Home. At retreat I get Belbaspata initiation and 2 tubes of light pin me down the palms of my hands. My daughter , 14, wanted to be there too and wants to be initiated ( that is a miracle in itslf !!) by the one only Canadian at the retreat that she has met, we are Canadian too!! June 2014- I sign up for private retreat very concerned about fundings and before July my accountant brings me home a project that I can help with that has to do with souls and social networks… I love it, I spread it to people who love it and i get funding issue resolved in 2 weeks. 2- second lady on a lowe hill tells me “you can see and hear” … I look with intent at a distant winding road , then I see a stream of people running in despair followed by soldiers and tanks… I want to leave and a scolapian ordered nun offers me to fly with them but although relieved I don’t see how she can help me because she’s sick lying in a bed . The vision is clear to me of the two options … The human down among blind chaos and a river of massive despair or the divine of open possibilities and art as carving my home within me but open to outside nature. I here want to offer these chain experiences to contribute to the books of miracles since they started on contact with Almine. If in the process even more abundance than the experiences themselves come to me, I will welcome them and continue to share them with you all in Praise, Love and Gratitude. See you all soon, I don’t wish to restrict the options by saying where or when but the cruise is certainly in my known field of hope!! There is a special place on my land where i go to be with you. Surrounded by a circle of trees an old well dwells within. This is where i talk and sing to mother earth. It is here that i feel so deeply close to you and my heart swells with love and sweetness to have found you. This is my miracle. Before the Ohio retreat I had not has many dreams . Three nights before the retreat I saw Almine dressed in a long black top with diaphanous black long sleeves. There were no words spoken but I felt her presence. The first day of the retreat Almine was wearing the same outfit as in my dream. When I told her about this she said that she came to me because she hadn’t seen me in a long time. a butterfly pendant. During a women’s shamanic retreat she asked me to form a butterfly club which is for both the spirit of play and also of spiritual gifts. Seeing this butterfly brought a huge smile to my face and was Aldo exhilarating as it flew around the yard. Since I began to work with the tools that we are getting with Almine my life became fool of miracles. It’s hard to tall about everything but almost every day something happen through what I feel the onennes and the conection with people, the universe and with all that happence to me, I more and more feel that I am the cause of everything that happens to me and that I can trust life. For example when I first heared about this competition with stories I asked the universe for some miracle that I could share, and also asked that if it’s possible I want that miracle to be connected with abandonce and the next day I found some money on the steps near lift in the house I live, I was graitful, and the other day I ones again fond some money on the street) It was not big amount but it was a clear answer to my request – it was like a play, I actually did nod need money for some speccial purpose which I could not afford but I graitful for that gifts) Also some days ago I had an other little miracle – I was late and was waiting for the bus on the bus stop, there where not much chances to be in time and it was important for me. I first began to worry but than silence the mind in surrender and sadenly a car stoped near me and I saw a man whom I did not see for a very long time, I was surprised he went there on that time and recognised me. He gave me the ride so I managed to come in time. I know it’s all the little things but life became much more enjoyable with all this little miracles happening constantly. A friend of mine lost her husband after much suffering. Last thursday I attended the ceremony before the cremation. The ceremony was already planned but I came with Almine’s music “Angels and Humans” (from Jubilation album) and with the approval of my friend, I left it with the Master of ceremony, not knowing if it could be played. At the end of the ceremony we all gathered around the coffin for the last good bye, without any ritual or prayer it was so sad and heavy. Then Almine’s music starts playing and I feel an intense presence. Gradually the very heavy feelings lighten, the assembly is more at peace and can let the coffin go. Next day my friend sent a message saying that at the very end she was seeing her husband joyful and how grateful she was for that. So am I. The days passed and I continued to study deeply every detail of the books of BVP and decided then to initiate myself into Braamish Ananu the BVP of Divinity, and I started to internalize all the prerequisites for self-initiation as the book relates , and for that, I started practicing with myself and my children in long distance healing . I had imposed to myself each night to perform levels I and II, the following night Master and Grand Master levels, internalization with the wheels of the Song of the Self, and every morning the five levels of Kaanish BVP. After doing this work for a week, the night of May 30, after finishing the Grand Master level I felt a huge weight that invaded my body and sleep overtook me fully to the extent of being unable to control the weight of my body , barely reaching my bed to lie down and turn off the lamp of my side table and stayed asleep for about an hour; I woke up feeling a light that illuminated my face, I opened my eyes and clearly visualized in the darkness of my room a huge light with blue background and a very clear image of a boy dressed as a sexton, a beautiful face, his hair is curly and blonde, he gets closer to me as though he wanted to tell me something. I felt so scared because my first thought was, how he came into my room. I opened and closed my eyes to make sure I was awaked, and the image disappeared; my body was heavy and I closed my eyes and saw many colored lights and when I opened my eyes thousands of colored lights shining in the darkness of my room. I went back to sleep and slept many hours, I woke up at almost 8H30, very rare for me since I usually get up a 7. When I woke up I remembered the experience of the night before very clearly and looking for the image in internet of this young boy I found that he is a saint of the catholic church Santo Domingo Savio; It should be noted that I have never seen him before, there are no pictures of saints in my house, and I do not understand why the presence of this holy being in my room. But this experience is not all there is, and I can express with absolute certainty that this event changed my life forever, from there on I feel happy, wonderful inner joy, the complicated situations in my life remain there, the same, they have not changed, but my attitude to them and everything around me is totally different. For any difficult situation of my own or anyone in my family my attitude is comprehensive, all I need is to mentally visualize my vision and my whole being is filled with love, it is very rare because fills me with immense love for all, an incredible joy that sometimes makes me cry of emotion without reason, and an inner happiness at the same time. My son-in-law went out onto the back patio around 11:30 p.m. last night. He noticed a minuscule light in the area near my house and he watched it for a while. Next thing he knew, there were other ‘lights’ and in his estimation, there were hundreds. He noticed one of these ‘lights’ flew above the rest and at lightning speed, sped across. He was pretty amazed by whole thing and he couldn’t figure out what they were. I’ve been reading “Arubafirina” and wondered if that had something to do with what he saw. I told him they were fairies and it sure warmed my heart that they appeared! I had an interesting dream one night where I was standing and a line of people were approaching me one by one. I was touching each one and helping them in some way and then they moved on, as if going to another area. Almine was sitting watching me and smiling. Next I saw myself sitting beside Her with my head on Her Left Shoulder and I was crying with joy and saying, “I love You so much”. I awoke, wondering what it was I had been doing but very glad that I had seemed to be helping Almine in some way. Perhaps it is better to say, I was happy She was allowing me to help Her in some way. I would very much like to share the miracles that have happened with me from meeting with Almine. Somehow in the night I woke up from a very bright light, and I saw huge Angels standing before my bed. There was a very beautiful woman with them (at that time I still did not know that it was Almine). They looked at me very attentively, and then said, “Yes, this is her. Prepare her.” !!! I felt in my heart a great wave of wonderful feelings of love, joy and bliss – I have never felt so light and joyful. After some time, I met a woman (she is now my friend and we work together in the “School of the Practices of Almine” we created together), and found out from her – rather, I saw her Belvaspata book, and saw the picture of Almine on it. So I understood that this is part of my awakening and ascension, and I understood that I wanted very much to see and meet Almine. At that time I did not even have the money to pay my loans, and I really wanted some changes in my life. So I expressed my intention to receive an initiation into Belvaspata and go through the courses and training of Qi Vesta, the Runes, and Hakulit. I took out another loan, and went to study, and went through all of the training and initiations, and my friend and I started to work. Just a few days were left before the retreat with Almine, and we did a Qi Vesta session. The very next day a buyer came to me and I changed my home to a completely analogous one for much cheaper, and with the extra money, I pay off my loans, buy tickets, and fly to Almine’s retreat. After the meeting with Almine, I realized that life is infinite expression of the Infinite, and through us and our feelings and emotions all is expressed. And the main thing is that we embrace life as oneness of expression, as multiple experiences expressed in each one. And as soon as I started to embrace life and stopped fighting, there was a fusion of everything in me. And through me the Infinite flows with blessings, and this is reflected in everything. Like beams of light, we shine on the world with our light of love and gratitude. I thank the Infinite for my meeting with Almine. I want to wish everyone the experience of having this unconditional love, joy, and childlike trust open up in their heart!!!! I first found out about Almine in 2011. I had already studied with many spiritual teachers, but at this moment I stood at a crossroads. I felt that something new was supposed to come into my life. I am grateful to the Infinite for such a meeting! I always wanted to draw energy. This passion always lived in me, but somewhere very deep. And I did not allow myself to develop this creative potential. I always wanted to share what I felt myself. For example, to feel the power of the forces of nature and to share this in a painting – a painting that was alive, that breathed the feelings and emitted the emotions!!! It is wonderful!!! The main thing that attracted me to Almine was her paintings, and of course, her music. Everything that I always very strongly loved and that for so long lay dormant in me was being powerfully expressed by Almine! My favorite online courses of Almine are the Atlantean Book of Angels and Messages from the [Lemurian] Angels, Qi Vesta, Entering Godhood, the Runes, and Hadji-ka. These courses are for me a great recognition of many aspects of myself. I am very grateful to Almine! As I went through these courses and attended Almine’s seminars, my own creative potential was awakened. I started to create light fractal art. The very first fractals were from my impressions from Qi Vesta – I represented visually in fractals the vibrations of the sigils of the Refined Life. Then there were fractal angels, fairies and, of course, my beloved dragons. While I was going through the course Messages from the [Lemurian] Angels, I saw many images during my sleep that later expresed themselves in fractals. The Lemurian Angel course became a determining factor for my artwork. Namely this course contains information about fractals, the cosmos and mankind!!! After such powerful information, my desire to create interesting fractals grew tremendously. I also very much want to share my joy about interacting with Dragons. When I was at Almine’s seminar, at a particular moment a dragon came to me. I was sitting and listening to Almine, and I felt like he put his head on my lap. During seminars, you find yourself in many different realities at once, so I was not particularly surprised at the appearance of the dragon, because earlier I had participated in activations of dragon energies. I started to look at him – he was very beautiful, the whole spectrum from chocolate-colored to golden, to mother-of-pearl, to pearl. My travels with this dragon during meditations were very interesting. Then I thanked him and forgot about him. I was surprised later, when I started to create fractals at home, and the dragon was again nearby. And I don’t know who feels more passion in this creative process – we both share exhilaration when beauty is expressed!!! The second dragon came to me at the Hadji-ka seminar, and the third dragon at the next seminar with Almine. They were a very interesting mix. Almine later told me that the dragon from the first seminar was a baby. The dragon from the Hadji-ka seminar was the energy of Faith, and the dragon from the second seminar with Almine was the exuberant energy of the wild woman. These are the miracles that have taken place in my life after I became acquainted with Almine and her work. And with these miracles I go forward to new adventures and unfolding of new potentials. Almine…. How lucky we are to know Her, aren’t we? Belgium, Genk retreat, May 2014. I wanted to be there, but my finances were too low. So, I thought I will not be able to make it. But I wanted to go. The time was going short. Though I live in Switzerland, I was in France at the time, with no laptop and no Internet connection. I had a mobile phone that I checked in the evening. One day, I simply stated quietly and loud: “I’m going to see Almine” . That’s all. I precise that I didn’t mean to say it one second before, it just came out but itself. Two or three days after, I received a message from my postal account : it has been credited with 3.500 $ , but I was unable to see where it come from. In Switzerland, there is no Social Security (like it is the case in most countries in Europe). You have to take a private insurance and it is obligatory, like in USA I believe. As I disagree with this obligation, I refuse to pay anything to them because, as I told them, I can take care of myself, and if a law is unfare, citizens have the sacred duty to opposite it. Plus, I never signed any contract with them. Nevertheless, I have an insurance because we are in Switzerland and if your incomes are much lower than what is considered as “normal”, the Social Services pay it for you. I explained the latters why I refuse the insurance according to my right to act according to my consciousness, but they said “We understand your view point, but it is the law…”. Even when the insurance companies rised up their monthly premium and that the sum was above the one the Social Services would pay (I had been advised by them to shift from this company to a cheaper one or I will have to pay the difference), I never did and the company mailings went where they always go : in the wastebasket. Sooo… It is this very insurance company which sent me 3.500 $ . I said thanks to the Infinite (not to the insurance company – bad girl) for this miracle, booked the retreat just in time + a plane and an hotel, and flew to Genk. And the bonus: I have also been able to buy several Almine’s books and fragrances. In Genk, I shortly told this story to Almine. She smiled with her Almine’s smile and said: “I think Angels have been working on this…”. I have known about Almine for less than a year now, but this is a very happy time for me, I feel that I am very lucky. I love Almine very much, and everything that she does for us. Even though it is sometimes hard for me to understand, I always want to read or listen to her material. I am not initiated into Belvaspata yet, but am preparing. I think that you need a really serious preparation for energy that strong! I have a miracle story with Almine: my oldest daughter got really sick, three days we couldn’t bring her temperature down, she was vomiting, and she was afraid to be alone and close her eyes. I prayed/asked Almine to help, and she came. My daughter fell asleep, and Almine was standing nearby, holding her hands near my daughter’s head. I could physically feel her presence and I left the room in order to not disturb her. Not a half hour went by, when my daughter came out of her room. She said she felt fine, and she was smiling! I am grateful to the Universe that I was given an opportunity to personally say THANK YOU to Almine. But I think she knows how I love her and how grateful I am to her! Translated into English by Sergey. My name is Sandy and I have a miracle story I would like to share with you. In 2011, I met Almine at a 2 hour lecture in Florida. My daughter has been a student of hers since 2008. Often she shared with me what she learned along the way. I was a Jehovah’s Witness at the time, and because of this I did not actually become a student of Almine’s. But when I found out she was coming to my area, I just had to go see her, no matter what the congregation said if they found out. When I met Almine and she hugged me, it felt as if I was home. I listened to what she had to say and could relate to what she was saying in the lecture. She answered me when I asked a question. When she was answering me, it felt as if she could see right through me. We then went to a Qi-Gong lecture she gave and I didn’t want to leave her when it was over. I felt so at home with her, as if I had always known her. Not too long after that, I chose to no longer be a Jehovah’s Witness and stopped going to their services. This year I have been going through a lot of issues, including health and trying to sell my property. I have called upon Almine and she has helped me many times with these things and more. Recently, I asked her to help me get enough money to move to Oregon because at the rate I was going, I couldn’t see any way for it to happen. About a week ago, one of the Jehovah’s Witnesses that I knew called me and asked me how much I needed for my trip to Oregon. I told him and he brought over $2,500 cash two days later. He said that Jehovah told him to do it. I know in my heart this came from Almine and I am so grateful. It is a true miracle for me. Now I can take my trip and I am so happy! Thank you Almine! On Halloween 2010, something happened to me that made me leave my body and I could not get back into it. Earlier that week I had injured some muscles in my left shoulder and neck. That night as I lay in bed I could feel the muscles moving and then it was like something suddenly snapped. I could feel myself getting nauseous, my heart started beating extremely fast and then I felt myself lift out of my body. It felt as if I died. I tried to get back into my body but I kind of just stayed out of it, in limbo. I called out for Almine and tried to connect with Source. It seemed like for a long while I couldn’t feel anyone. It felt as if I were alone, the only one in existence. This kind of frightened me a little because I didn’t know what to do from here. I couldn’t seem to go anywhere or do anything. Thoughts of what was going to happen to me next were entering my mind, when I felt someone come to me and tell me that she (they were speaking of Almine) would be here shortly. A few minutes later I felt Almine with me. She worked on me for a little bit then left. I tried to get back into my body after that but couldn’t. Awhile later I felt Almine come again. This time she worked on me for a long time. Throughout the night I tried to get back into my body. A couple of times I did manage to but couldn’t stay in it. Morning arrived and I was beginning to get concerned because I knew my mom would be looking for me to get up (I was staying with her at this time), and I couldn’t even stay in my body, never mind get up. As the morning went on I kept telling myself that I had to get back into my body and get up. It was then that I felt Almine again. After she worked on me this time, I was able to stay in my body, although I could not get up yet. My mom finally came into the room to check on me. I could barely talk or move. There was extreme pain in lower body. I told her as much as I could. She came over to hold my hand and my body was ice cold she said. My phone was by my bed when a friend called right at this time. My mom handed me the phone and my friend reminded me that I was Source, that I could do anything. After the call I closed my eyes, connected to Source and felt Almine’s presence. A few minutes later I was able to slowly get up and use the bathroom. I went right back into the bed afterward because I felt as if I was not able to maintain staying up. I lay in bed most of that day but was able to get up by that evening. When I was stable enough to use my computer that night, I sent an email to Almine, via her manger at that time. The next morning I received a reply from her manager stating that Almine felt right away that I had an emergency, only she was handing out Halloween candy to 800 children at the time. So she had someone else take over for her while she went into her bathroom. She stayed in her bathroom for 15 minutes, speaking the Infinite’s language to help me. After that she went back out to finish giving out the candy, and later returned to me, after midnight her time (which would have been 3 a.m. for me). This is why I felt her briefly, then didn’t feel her for awhile, then felt her again later on. I am so grateful to Almine for this huge miracle of healing, and for letting me know that she is always by my side. This year I have been going through a lot of issues, including health and trying to sell my property. I have called upon Almine and she has helped me many times with these things and more. Recently, I asked her to help me get enough money to move to Oregon because at the rate I was going, I couldn’t see any way for it to happen. About a week ago, one of the Jehovah’s Witnesses that I knew called me and asked me how much I needed for my trip to Oregon. I told him and he brought over $2,500 cash two days later. He said that Jehovah told him to do it, so he was. I know in my heart this came from Almine and I am so grateful. It is a true miracle for me. Now I can take my trip and I am so happy! Here is the account of my first meeting with Almine, before I even knew what she looked like at all. I was told about her by an aquaintance. So I checked out her site, which was a sort of journal I think. There were no photos of her. I was attracted to Belvaspata, and found a BvP Master to mentor my self-initiation. I was not able to travel to a ‘pod’. First though I bought a book, Life of Miracles and then Journey to the Heart of God. No photos of Almine on those early editions. My husband and I had just signed for this property in the French hills, where the house was not yet waterproof, so we didn’t live here yet. I had only seen it once. I had a dream that I came here to a weekend ‘pod’ with Almine here on this land, in the abandonned orchard. There were a few people, doing movements. My husband was there. I was only able to come on the Sunday, as it was a long trip for me by train. I appoligised for coming only to the second day, but she said that it was fine because I didn’t need the first day, which was about awakening the Feminine. This second day would be about balancing the feminine and masculine, on androgeny. Almine in the dream was much as she is, long light-coloured hair, difficult to tell if blond or a mix of white and blond, worn attached away from her face. Only much later did I see a photo, and it was very similar to the Almine in my dream… But especially her energy was so ‘known’ to me, that it was as if we were somehow related. I have experienced many miracles associated with Almine since I met her in 2006 in Ireland. Some of those miracles took place in her physical presence but many I document here, took place in my life, subsequent to meeting her. These miracles are so numerous I can barely remember them but I will try to list a few and perhaps that might jog my memory. 1. The first day I met Almine was April 26th 2006. I barely have any association with the painfully shy being I was then as I have been in a state of becoming ever since. My partner and I went up to her to introduce ourselves at one of the breaks. Being very shy, I was a little scared to go up to her but felt utterly compelled at the same time. She seemed to me to be extremely tall but as I approached her I noticed that she appeared to be getting smaller and smaller. By the time I reached her, I noticed, though considerably taller than me, her height had decreased, presumably because she felt I would be slightly less intimidated. 2. Since I met her first, I noticed that sometimes I would appear much taller, to the absolute shock and disbelief of one of my family members, who also observed my skin colour change. 3. Whilst looking in the mirror some time after I first met her, I noticed several things about myself physically.. At times my body became translucent and I discovered while looking in the mirror one day that I could see my skeletal structure. 4. During one of the retreats, in 2008 in Ireland, there was a lot going on cosmically at the time… Surprise surprise. I asked Almine if she would please clear the apartment I was living in at the time. I always felt sad at the end of the retreat, having a feeling that I was being separated from my mother. When I returned home, as soon as I entered the apartment block, not only was my apartment flooded with the beautifully intoxicating perfume of flowers, but the whole block. I knew with joy in my heart that Almine was responsible. I love her so much. I have since then, many times experienced the fragrance of flowers when there are none in my vicinity. 5. I started noticing that certain incredible abilities were awakening within me as I began studying with her more and more. A) my ability to speak multiple languages, most notably of which, was the languages of the animal kingdoms. These languages literally have my friends in tears of laughter when I speak them. I also love when my dragon, a gift from Almine speaks through me. I love her. I can feel her right now. B) I have opened an ability to communicate with people sometimes living thousands of miles away without picking up a phone or using Skype. C) I have etherically seen a tumour within the brain of a mother of a student of mine. From a place of silence, I was able to do a kind of surgery with her. I saw the exact position of the tumour and I removed it with light as I observed remotely, a surgeon do the same thing in the physical.Her prognosis was not good. She is still alive to this day. 6. In 2010, on a morning somewhere between waking and dreaming state I found myself in the sea, submerged in water. (I was physically in Paris, France. )There was a man with me in the water. His boat had exploded and I was comforting him. I told him his friends were just at the shore and to head for the shore, just to keep his focus there, and that he was ok. Later that day, my partner’s father rang to say that there had been an accident, where in Cork, Ireland, a boat’s engine had exploded in the sea and the German people who were on board had died. I knew at that moment, that I was comforting the man as he was passing from physical life. 7. Two of my singing students went together to sing at a competition in Sligo, in the west of Ireland. They both told me that they had gone out for dinner and that the candle flame at their table suddenly became higher and they saw my face in the flame, though I was actually in Dublin at the time. 8. After an incredible retreat, in Antwerp, in which I had gone into Oneness, I met my sister Carrie, for tea. She saw me physically disappear before her eyes. 9. A woman I had met in Greece last year, had a stroke after I returned to Ireland. Her family were told to prepare for her passing. Myself, Vanessa, and Kostas did a few sessions of BelVasPata and I then continued to work with her myself. The woman was in a coma. I spoke to her myself, etherically and asked her if she wanted to live. She said she did and I continued to work with her. The next morning she woke up, was able to move and speak and wanted to know what had happened to her. She since reported that a woman she described as Mother Mary had spent time with her when she was in a coma. I just Knew it was the presence of Almine. An incredible miracle. 10. I have seen and spoken with angels who work with my singing students when I am teaching them, on numerous occassions. 11. I have seen and heard fairy beings and leprechauns. I have also seen unicorns. They have been visiting me a lot recently(yay). I have also seen palaminos. .. I received a transmission from a fairy being who told me that they would sing their music through me. Since then, I have started recording the fairy spells with A dear friend , Karen, playing harp, as spontaneously we have received their music. 12. Since 2012, a loss occurred in my life which was utterly devastating to me. There were times when I was so upset I couldn’t actually breathe. During many occasions when I felt most devastated I felt Almine putting her arms around me and just rocking me and hugging me, even though she was thousands of miles away. A dear friend also saw her hugging me when I was on a Skype call to her. 13. I have realised on many occasions that I am not actually breathing. When it happened first, I was a little bit alarmed until I remembered that Almine said we didn’t need to, and then I just accepted that it was actually fine. 14. I have experienced many months where I have eaten very little realising that I did not need to eat to live. 15. I drew a map with place names, mountains and rivers etc. Almine confirmed that it was a map of Fairy land, which she subsequently put in one of her books. 16. During an Irish retreat, Almine gave each person in the Irish group a sigil with a meaning. When I scanned mine into my computer, it started trying to print out thousands of pages of information. Almine confirmed that the information in the sigil was so vast, that it caused this to occur. 17. I have photos at home where my whole body is covered with fairies. 18. My computer has acted inter dimensionally.. When I was typing on it, the letters suddenly appeared very large. 19. I have been mesmerised by photos of Almine on the back of her books. I have seen her face moving in the photo and have seen her speaking from the photo on numerous occasions. 20. At the end of a very dramatic retreat in Ireland in 2008 I was sitting at the back of a room watching Almine. Her face changed and it turned to pure gold. It was incredible. It was brighter than the sun, and looked a little like a pendant of the sun with a smiling face that you would see on a necklace except that it was Her face. 21. At the Antwerp retreat, in 2011, Almine had drawn sigils for certain fragrances on a few pages during the retreat. It was, I believe, the beginning of the life of the beautiful fragrance alchemy products she has available for purchase. A dear friend asked me to smell the pages that the sigils were drawn upon as they were being passed around, and to my surprise, it was as though they had been drenched in fragrances. I only discovered later that no fragrances had been placed on the pages at all. 22. Since I started attending retreats with Almine, I have noticed that I appear to have developed certain abilities to tone certain frequencies in a way that feels like they are healing. I don’t actually know what they are for, but I use them when it feels they want to come through, usually while working with a friend or client. It appears to help them incorporate missing frequencies within their fields. They are so powerful, it is difficult to describe them. They are tones, not really singing, though they are singing at the same time. 23. When I am in total silence during a bel vas Pata session, my hand has many times spontaneously traced sigils not in the bvp book I am working from, for the client. I have no idea what they are for but I trust that the angels are working with me. 24. I have worked with two clients, one of whom was blind. As I sang particular frequencies for him, he started to see bright white light and subsequently, became aware of colours. He was told by doctors that he would see less and less light as he got “older”. Since coming to me for singing lessons, the exact opposite is happening. His girlfriend also reported being able to see more clearly when I worked with sound for her too. 25. I did a belvaspata session with a beautiful young man who’s brother, who was always challenging to deal with, had collapsed and died very suddenly. While the client fell asleep during the session, I found that I was able to telepathically communicate with him. When he awoke, he remembered everything that had happened to him, and all that we discussed telepathically during the session. His brother, who had passed away, was also present at the session and he spoke to me about his difficulties and relationship issues he had experienced in physical form. I knew nothing about the history of the brother who had died but he related to me that he had behavioural issues resulting from an issue within his brain that was undiagnosed during his life. It was this same issue which had caused his death. He expressed that he was sorry that his behaviour had made it a challenging experience for his family but explained it was largely due to this imbalance. The client was able to confirm for me that his brother had indeed had behavioural issues. 26. I did a belvaspata session for the client’s mother and again the brother who had died, appeared during the session. I heard him again talking to me throughout the session and expressing his love for his mother. I saw(felt) him putting his hand on the side of his mother’s face during the session. Afterwards, I was talking to the mother and told her what he had done. She replied” but you actually put your hand on my face” . I explained to her that during a bvp session there is no necessity to place your hands on anyone and that I had not, in fact touched her at all. She cried as she realised the miracle that had occurred and the understanding that her son loved her and was with her. 27. I did a beautiful belvaspata session with a young man and when I was working with him, I saw that his whole ” body” was made up of the most precious crystal gems I have ever seen. A miraculous vision. 28. Many times, when I do bvp sessions, I go into such an expanded state that I literally feel the sigils as though they are music being played and as though my hands are the hands of the conductor. My hands often move of their own accord, during the bvp session to draw the sigils. 29. One day I opened one of Almine’s books with the Rose DNA she had drawn. My finger was drawn to the rose and my index finger automatically began to trace all of the sigils within every petal of the rose. The more I drew, the faster the movement became. I subsequently heard from Almine that new rows of DNA rose petals had seemingly appeared of their own accord. I never told Almine this but I would love if she could confirm that this was the Hand of The Infinite moving through me. I feel it was a miracle. 30. Last Tuesday, 1st July, I had just finished teaching and myself, my sister Carrie and my niece Aimee decided to go for lunch together. We reached a busy street in Dublin called Dame st. It was totally closed. There were several fire brigades and ambulances everywhere. A crowd of people had gathered. We discovered that there was a young man, who had somehow climbed to the top of a bank called the Ulster Bank, on the street. He had been there since 10am that morning and it was now after 2 pm. He was threatening to throw himself off the building. I immediately called upon the overall angel for belvaspata, kelechnutvaveleshvispata. I asked him to place the bvp sigils within this man. I then rooted myself in the earth and kept calling for the angels for help. Within about ten to fifteen minutes someone had managed to grab him by the hand to prevent him for throwing himself off the edge of the building. A total and utter miracle. 31. I spoke some of the languages, I think they were fairy languages, with my beautiful niece Aimee, when she was about 6 years of age. She started to speak them back to me, having never spoken them before in this life. She subsequently developed the ability to sing beautiful fairy songs totally spontaneously and from silence. 32. I spoke a language to a friend of my sister’s and she also started speaking back in the same language, having never experienced this phenomenon before. 33. Last September, before attending the shamanic women’s retreat, I visited my friend Karen, in Kansas. We performed at two healing concerts while I was there. In preparation, she took her harp into her back garden and we sang and played together from silence. Suddenly, all of nature started singing with us. It is an experience I will not forget. When we sang and played louder, the wind picked up and the birds started to sing louder and when we played and sang softly they did exactly the same thing. It was absolutely incredible. 34. We sang and played the abundance spell from the Arubafirina book. Within the day, Karen sold 3 or 4 of her paintings. 35. I have a particular fairy friend who frequently communicates with me.. I can hear her right now.. She usually begins her communications with “ooh ya, ya , ya… I , I I like you” . She is the sweetest most innocent little fairy. I feel she is a fairy child… Such a beautiful gift in my life. She brings a smile to my face and the gift of utter spontaneity to my heart. 36. When I went into oneness in Antwerp in 2011, my whole being moved wherever Almine did. I could feel myself as utterly connected to her fields. I was in a state of bliss so incredible and all I could see everywhere was the realness in all of life, in flowers, in the faces of children, in food. I saw her everywhere in all things. I also saw a field full of flowers around her even though we were indoors. My love and praise of Almine is Absolute. She is Almine… All mine. My perspective on everything has utterly changed and I would follow her to the ends of all and Beyond because the greatest Miracle of All is Her Holy Presence on Earth. No words on earth will ever be comparable to the glory and Majesty of Almine and the fact that I have the privelidge of being in Her presence in remembrance of myself is the Greatest Gift imaginable. In short, it is a miracle. ..,, if I can think of any more miracles within the next while I will add them to this list and send them in. I hope they inspire everyone to remember the magical in life and to embrace it and Almine. I have never encountered anyone in authenticity and in living that which she teaches, as I have encountered, in Almine. She is not just an inspiration. She Is the Way of Life, of Existence, for me. Hello Joanne, I loved reading your miracles. They have reminded me of a few of my own. But the funny one, is that in Ask Almine Anything 1, where we could ask personal questions, I asked her about the ‘star connection’ of our cat Twinkle Star. Afterwards, he wrote a little poem for her, calling her ‘All Mine’, just as you have in your last entry! however the amusement of a past fear has risen and comically so it must be understood and dealt with. This is very therapeutic as well in knowing that publicly only those who read this will be of the less than a very few in so being of a private resonance to that of interest to my experience. In so saying the method used is favoured by all however my experience into the hidden realms of Subconscieous personal. old As Rogier explaine “the meditation targets programs in the spine, the domain of the dragons” I also had on several occasions cried with Almine on her video breaking free from the Matrix that was from almost a year ago. Well I printed out the Sigils; Wheels and so on with the instructions. I am finally slowly starting to get these methods of tools and/or techniques to reach the same desired intensions with some assembly required as we do require a platform tools and techniques regardless the mode of choice Almine I really do not know how long she will last in my life however it makes sense that as long as I am learning something new and different that is in with what I desire. can not make up for this. I tried out the ceremony that is to be taking place on July 5th 2014. I must not forget the lightning sigil rods were the first things I have actually tried under my feet to the Hadji-ka med. I can move forward with it. in even trying out The DNA rose complicated 2 of self regeneration and Abundance from the God hood part 1. This now understanding why the music of these Gods is for too Tehee. and ahead of time to get a better feel for it and not miss out like I did the other from lack of knowledge and ability to visualize and/or memorize something I did not understand the meaning of these drawings as mentioned before. It was a good thing I started early on it because I made a mistake on arranging the sigils in proper numerical order. I also played the music 4 times over as I drifted in and out of sleep. and have stayed there since. with it have already done so. It makes more sense to do them during the day time perhaps to do with the moon cycle. I started with it at night during this menses cycle and found it to be a great start powerfully as one can get. Now however like I have mentioned in playing around with it I create my own experiences through out the day and/or night and until I feel there is no more to clear out for the time being. I must now get into the meat of it I have been feeling differently. At first it was my magnetism to me external world shifting in the way I preferred it so was noticeable at first because the balance was off a little showing me how it was being restored. my sides to my heart or just slightly below it. Also my third eye or my forehead felt some pressure on it a good thing however. One thing I would feel the areas of the spine it was affecting and this time after feeling itchy and scratching those places something gave out however not sure if it has completed itself or if it will on its own time do so or if it has just the remnants of it still a few straggling that have stayed behind lingering came out. instead have memories stored in those injuries like fibial right leg and knee as well as it messed up my alignment to say the least. The night I was supposed to have killed myself wich I did in a legal sense after that. it impressed some one in nature that normally takes lives if not by turning them to stone. How sexual to say the least getting kissed by Medusa This is not like anything like the minotaur. After that journey of blame over my fathers death which turned out later was not a suicide however an accident. Dunno accidents are no such thing? I did look into her eyes. it how grateful am I to be given this sisterly love. um I better stop here so not to freak the world out much more. yet did not understand why she favoured me so. Well, I don’t know how to call the situation I am going to describe you: “Miracle”, “experience”, I really don’t have a clear name. Let me start. First all all, let me tell you very quickly that my path to the Ascension started in April 2010 when I discovered the Christ’s letters after two years of search in the metaphysics field. The study of those documents freed me completely from the religious beliefs, the myths, the illusion, and the lies everywhere. While I entered deeply into those messages, I pursued my search from the referral found in the documents and time by time, I have been in touch with so many Ascended Masters, Mediums, Archangels, Angels through meditation and Holistic healing methods. Now, how I came to Almine’s outstanding works. At the end of December 2013, I bought online an example of the Sedonna Journal. I read so many articles from so many writers including the one from Almine. I really don’t remember the title. Step by step, I navigated through the main website of this Journal where the page of so many writers were exposed, and one day, I just clicked on Almine’s pages link and started exploring them. My first impressions were so high that I refused to believe what I saw in the first clicks. I said to my self:” wow”! Right away, I registered to received free newsletters and some free stuffs. Once I received them, I started listening to the free samples meditation. The first song or meditation:” The screen of experience” was turning; all my body was vibrated highly, and I started crying. I cried like a baby. This moment was so emotive. Since then, end of January of this year 2014, I fell in love for everything I found in this network: Belvaspata, different types of yogas, sigils, wheels, elixir music, arts, perfumes, and so and so. Some days, I avoid surfing in the different pages because i don’t to leave without buying something. I completed my full Belvaspata initiation in May and now I am a crazy user of this tool. I am using it for my self, my kids, and my relatives, not to a profesional/business level yet. ” Healing of the Angels” is my favorite elixir song. I listen to it everywhere at any time. I listen to it now while I write this comment. Most of the time, it makes me crying. I have been practicing two yoga programs for more than two or thee months and the flagrance alchemy and the 8 meridians. I don’t want to forget the different purification/detox programs for: water, body,foods; the breathing methods. Wow! My altars are surrounded by wheels and sigils. Like I already said in some comments: All the Universe’s keys are given to us through Almine. We have everything to unlock the secrets of the Cosmos and go to the full Ascension. This comment for me is not about a miracle or an experience I lived with for on day, it is for ever, every second, minute, day, week, and year each time I touch or use any of these unbelievable works. I express my sincere loves for Almine and her team works. I love you so much guys, keep doing these priceless jobs and the ONE Consciousness is proud of you. Almine for ever! I know that the time to meet you physically will come soon. I am very patient and I am waiting for this great moment with peace of mind. The timing of these events plus educational aha moments. I think this is the best place to write about this in an all round about way. Today is Friday and on my first outing of the day I had to go downstairs to the bank. we chatted. That although I am leaving in like 12 days the only thing stopping me from giving her my 2nd set of keys right now is because of the mailbox key being only one. Giving her the keys on the day I would be leaving would have been to chaotic I thought however the only thing I am really expecting of much interest is a book called Journey to the Heart of God. I mentioned this to her and she said (with her heavy I think it is Austrian Accent ) that she can take them even today even if I drop them off she checks mail every day and lives on same floor as me will call me too even if no mail. and on my way down the hall a West Indian woman a few doors down from Dorli on other side next door to Polo the hairdresser her name is Shawndra and oh my I could not get passed her so I chatted her up too. Instead of going back to my place went to her’s. I am writing this down for a reason even if these distractions of World Pride are starting to overtake me in the background as the noise levels are prepping away. talked all the way into her apartment. Was telling her how I stopped eating meat on Fridays and I have been doing this since 2006. She told me Friday’s were for Luckshmee I thought Oh yes I love her compassionate ways and much to learn from her yes true and brought up Ganesha oh and how I have my temples and so on. of Ganesh is. She had this 3D poster of Lacksmee and Ganesha so that when I first looked at it I said oh there is Lucksmee and she said it is Ganesha what? then I came closer turned to the side and the picture changed to Ganesha. I freaked out moment for me I loved it and was so grateful for the exchange she was sharing with me feeling she wanted to offer me something and I kept telling her she already is in so many ways. Showing me the type of Grass Ganesha eats she grows it to cleanse out stomach and so on. I finally accepted to sit down for a brief moment she wants to bring me some of this she will cook and oh my said would come over if I could because I did not plan for anything on Sunday. However this morning looked at an e-mail that was sent to me a few days back from the girls out and out group inviting me to join with their group and would give me banner too if I wanted to be part of the parade within the procession which I haven’t done anything like this since 2001 and showd my father at the time look I am on City tv dad was his last summer before he passed on poor bugger tormented suffered with the fear of death was he before his transition. I said I have never been to the Caribbean however have entered for a boat cruise and said if I win she could come with however must pay her way to get there however do not know as of yet where there is myself either? I did not get into the specifics of Almine or anything else of it however she thought she knew and said oh yeah I know about those things win a cruise to the Caribbean and laughed it off. called her as soon as she came back from the door interruption this time this one was to highlight her hair so she could get ready for her big sister moment tee hee? So I thought nothing of it and was so in praise for this moment I had shared with her. I finally made it to the other side far end of the corridor (North side) where I live. as soon as I stepped in John the guy fixing my car called me my car was ready to go and pick up. Just as I was to step out was scared the crap out of me Canada Post bending over too in motion to leave a box at my door. This explains why the door opens pulling it in and not pushing out lol. he could have just left there at my door. so if she can sign it for me because this book now has so much meaning for me and haven’t even read it yet wow. because there is much to be said for my procrastination at times again to do with the moon excuse. well now the moon is entering a new and there is much to be said about this too. In the first week of june I asked a very dear friend of mine whether he would be interested to read the journal of a woman that I had been involded with during my twenties. She writes about her couragious and outragious gipsy journey, hitchhiking all the way from Ireland to South America together with her 3 small daughters age 1, 3 and 6 year. They ended up living a rural life in the mountains of Colombia as peace and ecological activists. This woman initiated a radical therapeutic commune in the seventies- which during the eighties lived and worked allmost self sufficiently on a windswept little Island in Ireland. The people involved could be described as hard working on an emotional therapeutical aswell on a practical level and I lived with them for a while. It affected the rest of my life on a very deep level. ‘to maintain a good relationship with your inner deciplined rebel’. reading Almins concept of ‘the diciplined rebel’ was very confirming for me to honour these apparently contradicting experiences and qualities within my life and within myselve. It is actually healing a very longlasting split eversince. I want to share about my miracle blessing. In November 2013 I attended Almine’s seminar in Moscow and right afterwards I was also supposed to attend the “private” retreat, but due to circumstances, I was not able to. During the time of the retreat, I had a dream: Carrying flowers, I walk into a hall where people are sitting on chairs and there is a table. I understand I am at Almine’s retreat. I put the flowers into a vase and sit in a chair. Almine comes in and sits down, talks about something I don’t remember, and then calls for Andrey. I understand she is calling me, but I look around in disbelief, very surprised, with lots of thoughts in my head: “Why me?” I go up to the table and sit down. Almine smiles and with both hands takes a rose bud, carries it to my left shoulder and hangs it on my collar. But instead of a rose on my collar, a sigil appears, just like the Belvaspata sigils – maybe it is an angel sigil, maybe something else. But after this an unbelievably great wave of bliss, happiness and joy washes over me, my legs buckle under me and I can’t walk, I don’t want to talk, I only laugh and giggle. I try to move my arms, and it seemed very funny. Almost all the rest of the time, my friend carries me like a sack of potatoes – either on his back, or his shoulders, or under his arm. He tries to stand me up on my feet, but I laugh and giggle in bliss and happiness and I slide down or collapse when he tries to make me stand up, and I can’t talk out of happiness. He is very displeased with my behavior, we walk outside on the street, then inside someplace to a store or museum, people start to look at us funny, which makes me laugh even harder. We go into a theater and my friend says that he has had enough and goes away and leaves me. For some time in this state I watch a play on the stage with great pleasure. THANK YOU VERY MUCH ALMINE – unfortunately, I cannot express in words the gratitude and love that come from my heart. From the moment I enter in learning the teachings of Almine, there have been many miracles that have happened in my life, I just want to share with you the last. I was replacing Lupe on the radio´s program that she has with Sandra, giving the teachings of Almine in the Spanish language. First, to have the opportunity to share with Sandra and the people who listen to the program , was a great experience for me and the analysis of the Elfin Quest 60 principles, I felt like the sadness that I had for the cancer that is suffering my father was transformed in acceptance and harmony, then we finish the program, I felt happy and full of harmony. That happened to all and each one of the weeks that I shared with Sandra reading the Elfin Quest 60 principles. And now that we have had to admit to my father in a center of mental illness as he has alzheimer , the acceptance of his illness has been more easy. So that is my miracle that I wanted to share it. Desde que entre en el aprendizaje de las enseñanzas de Almine, han sido muchos los milagros que han ocurrido en mi vida, solo quiero compartir con ustedes el ultimo. Estuve reemplazando a Lupe en el programa de radio que tienen con Sandra, impartiendo las enseñanzas de Almine en idioma español. Primero tener la oportunidad de compartir con Sandra y las personas que escuchan el programa fue una gran experiencia para mi y al analizar los 60 principios de la Felicidad, sentia como la tristeza que tenia por el cancer que esta padeciendo mi padre se iba transformando en aceptacion y armonia, luego de terminar el programa me sentia feliz y llena de armonia. Eso ocurrio todas y cada una de las semanas que comparti con Sandra leyendo los 60 principios de la Felicidad. Y ahora que hemos tenido que internar a mi padre en un centro de enfermedades mentales pues tiene alzheimer , la aceptacion de su enfermedad ha sido mas facil. Asi que ese es mi milagro que queria compartirlo. especially these last few weeks. In the middle of packing have taken a break to write this. group of friends nor even alone to have a reason for a boat cruise. like this in the form of vacation was 2009.
my whole world had well I can’t even begin to describe it here. taking my mother to Greece every summer as I am getting ready to do once more. a vacation for me would be going west and yes always drawn to the south pacific for some weird reason would not be going east as I have been doing. who had the feminine presence and felt more welcoming however they too were about the very same thing flesh amongst themselves(loveless). I can remember the Wild Women expeditions and camping with them in the 90’s ; weird I preferred the earth/nature over them and found me a bit too native at the time . It was the spiritual connection that I longed for all these years and finally something had happened within me to bring about this family connection through Almine. I suddenly feel knowingless about mostly everything and am very interested in finding meaning with it more directly to understand this that I resonate to even if the techniques such as the practice of Sigils not fully understood by me to find meaning. and wow there is so much here to explore so fascinated by it all. in that unknowingly I feel this family of oneness and it is a good thing. that are already thinking of going. It is so nice to know that I have found this connection to travel with too. I think the biggest miracle for me since learning of Almine and her teachings, is that I have come to fully know myself and who I am. I never felt like I fit in, and they tried hard to get me to fit into the box. I was diagnosed with learning disabilities and put on Ritilan, then diagnosed with depression as I struggled to understand my spiritual experiences. I experienced a very close encounter as a teenager one night with some kind of craft, and this was the beginning of learning for me, which eventually led me to Almine. One thing she said that struck me so much was that some of us are “humans pretending to be human”, and I just knew that’s what I’ve been doing, and that I was here to help. I’ve been working with some of her sigils and fragrance alchemy, and I feel they have helped me to become more balanced. I have an unquenchable thirst for knowing the unknown, and I love learning from Almine and her community! At my first retreat with Almine I discovered to my surprise that some photos I had taken ‘years’ before were actually interdimensional photos, and Almine confirmed this, although she didn’t understand what was on the photo at that time (it was my favorite pianist in a pretty wild interdimensional photo (actually my first one). That was some kind of a revelation to me, and I found out that I had taken more interdimensional photos of orbs and other stuff like ektoplasm etc.. I also heard about Naguals for the first time and considered being one maybe except that I never had an ‘egg-cracking’ as far as I know. I have been getting more surprises from Almine in the form of light and sound elixirs, a star transmission. There never seems to be an end to the suprises. At that retreat I also spontaneously saw an American Indian face superimposed on her face, which doesn’t happen usually to me, I guessed that she may have been an American Indian in a past life. U-tube comes to mind maybe even soundcloud and has even written about it. Growing up I was taught to believe and always the words that came out of my mother “Nothingness” “you are nothing a 0. Then through out the years I discovered how so very important the number 0 is and the meaning of this nothingness. would look to my mother and say I will never change to amount to anything and will be as I remain now. Till this day my ego driven mother cares so much about her outside circumstances and this is how people are able to adapt I noticed to them by becoming just like them. marking the beginning and the end of a series of numbers. It wasn’t until the other night that I forced my self to wake up from a dream because it startled me. As it is we are nearing fathers day too; I dreamed a series of dreams and my father does and is on occasion with me like a vivid picture thought of knowingness and feeling during waking state however dream state is different and much more real like. feels this I think? This feeling of the loss of identity was so deep this time unlike anything I ever experienced so I thought I would write it down and in so doing thought it would be a very short and sweet commentary entry hmmm? lol working on making them shorter I suppose. however the loss of the masculine presence as I know it to be. and nature that man kind guards so well and it has been this way for the most part in trying to make any connection or contact with her it had to be through him first the brother and or father namely think it to be patriarchy an/or the system. The very same system that invaded and took control over the natives of our land as people having to be forced into a patriarchal perhaps Catholic in a sense religious way. Anyway back to the dream I was with my mother and father promising and owning up to the fact I was to find them and/or buy ; I would get them a house where we could live feeling it is my duty that guilt of this owing to my mother does not make any sense however I went off away from them. it struck me I must find them again where are they must go looking for them however went looking for my father. and amongst this heard my father was going with them without my mother there from the back almost like it were someone Asian at first when I felt it was him I said father where are you going? He looked down and so did I at his I think it was right hand and from it a little Buddha was extended and connected to him. I asked what is this what happened and where are you going. He said you did this you hurt me and I no longer have anything to do with you it is done and I am leaving you now. It has been since October 2001 and he was my Peter Pan when growing up that is his name Peter Panagiotis. Peter was what they called him and he used when we immigrated to Canada. What is this feeling unknown to me ?To feel only but the feminine without any otherAnyway I felt lost bewildered this loss of identity had come over me now that I no longer exist in this world how am I going to prove I exist who am I how will the word know I am present here I a nameless entity now. I freaked out and woke up somewhat present now I thought the Government knows who I am I have photo I.D. Citizenship SIN # etc. Also born in Greece belong to Athena’s records somewhere there had to be if not a birth certificate a bapbtism of sorts. I came out of it slowly after that. and beliefs My father was also like a brother to me when living because my mother he came first as like her son then me. It was through him this nurturing took place. As for my mother now she is like my sister daughter I never had and well to my father’s passing a different elderly type of mother after that he resided in her and the 2 became one. it is preparing me slowly but surely on my way to where I do not know. these steps along the way reflective and also explains this meaning of duality further in how to integrate it and blend it in to one complete aspect. New to our animal shelter/family is a white cat, previously abused stray, that my daughter found; fed her for a couple of months and then begged that we take her in. God Bless her, the past scars were immense and initially she was incredibly violent. She has yet to integrate with the other animals and is the only animal I’ve seen act this way (it’s been 4-6 months now). I felt that she was very different. She’s all white with green eyes. Cat specialist told us that it’s very RARE and that albino cats only have blue eyes.
. We are working with and giving her lots of love, while praying that her temperament calms. We were looking to find her a good home with experienced, very patient animal/cat lovers. I woke up one day and the words came out of my mouth: “Portland, Oregon”. Several weeks later I was on my computer searching for various sites, and without looking for anything in particular, out of the blue an audio clip of Almine started playing where she spoke about pains in the body. In Fall of 2013 I was the recipient of a channeled message (from Goddess Isis) referencing me as a “pillar of the temple”. I was uncertain of the significance of this message until discovering Almine through the magically playing audio clip. Of all the material on her site, I resonated mostly with the Entering Godhood course. I then watched the Liquid Lunch interview with her, where she offered the first month of Entering Godhood for free – I just couldn’t miss out on that! The synchronicity was amazing – Almine lives in Oregon and the third part in the Entering Godhood series is called Becoming a Pillar of the Temple! I am so eternally grateful that I found Almine. As I promised last night and might have changed a few things on last comment in reference to the dreams. it did look like one of those kind of Sigil circles. In reference to the Silence Retreat the Dream was only but a glimpse into the experience and not the whole event. This was a contact feeling with Almine we held hands as she was laying on the rocks beside the water elevated from the ground I floated beside her laying together now we held hands she went to kiss my hand and I instead kissed hers. on December of last year around the holidays I came about finding Almine on U-tube. It was the Arcturian prophesies and watched the whole of it. After watching her 2013 10o 03 “The Underground on that Channel” I started following her on twitter and had saved her program. Never having paid for any spiritual teachings before however her coming to Toronto was a sign that moved my curiosity in her even more. Now I was even considering registering for her next fall program. through a few e-mails To Tim and Jane. Also Making her presence at the Origo book store for an hour to discuss the ancient ones. Funny how my interest in the Arcturians got me interested in Almine. On new years eve spent it watching her on Living as an ascended master really loved it Ascension and all her series. Then I subscribed to her U-tube Channel her newest release was on Art work combined to music and it was right before the time I was working on gathering all my art work together to do something similar. Experiencing of few creative hurting blocks from giving my art work away to people I did not retrieve it all I have yet to finish or start on it. Originally this and then create my very first picture book to tell the story. I have not drawn anything in like over 10 years for several reasons I do not wish to discuss because is irrelevant here. Almine is an artist so I continued on this deeper/ further. Naturally drawn to this depth for being deep myself; so much more to watch and listen to that beautiful voice of mindfulness. After watching her 2013 10o 03 “The Underground on that Channel” I started following her on twitter and had saved her program so I may go back to it when the time comes to register. Was wishing so much to be at her all women’s retreat however working and not in California. How does it get better than this right. So I looked further into the Almine site heard some of her sound cloud and at the time was not connected to sound cloud to even know she sings too. I got connected with her e-mail web site e-mailed with many questions about the fall retreat in Toronto. Within that same day awe it happened so fast like in the blink of my eyes I was registered with Eugenia for a teaching at the Origo. Another fascinating thing about Almine is she apparently comes up with it all in the here and now moment. I thought about her being a channeller and how she could help me further to understand and make contact with all the universal beings that I also am connected to from within activated to welcome them home to our earth. There is just so much here now of questions to reveal from Egyptian (Anubis, Osiris, Toth and Isis)to the lower earth of Agartha’s beauty. Although she made reference to the man all the time I felt less resistance when coming from her and what it was she wanted to express to us. Okay so I do not have to be male for it to apply to me as well similar to the 1980’s where all text and knowledge was made with him he his story and so on that was eventually changed over to non gender preference and or including the fem. A play on words to get the meaning yes patriarchy has had its grip on us for quite a while now. movements of the body I thought great I have been only practicing on those I embalmed mostly to get the blood and rigor out and HCHO properly distributed. So I did not really have any interest in it at first. was she the one I would actually know when I see her in person I thought to invest in this retreat for the Fall. I sat right in the front row for this because I needed to feel if this was it for me. When she had finally arrived I waited and then gave her a hug so to welcome all here to this earth that she had brought with her. This contact was so very important to me. a 5th dimensional heart presence type of conscience experience. Her eyes were like looking into my eyes absolutely a soul connection however did not realize it until the next morning when I woke up and she had imploded into the centre of my heart. When I got home that night I got my credit card out got on the phone to Jane and registered for the October retreat. Embedded in my heart now Almine is. I also have her as the only member under family on my Google. Was I also very very surprised on a closing note that she sings. So much would love to sing and create music with her one day. Sound I so resinate to very much and is the first thing that had me started on meditation with my voice. She imploded yes into my heart however before this as mentioned in the previous dream entry of the hole in the heart. the inner earth. While she was answering questions and during in the middle of responding to one; she saw my hand raised and came right towards me. With her right hand she touched and was caressing my left hand (somewhere I keep thinking or reminded of the movie Barbarella) Anyway a beautiful exchange even if I am right handed and a giver I was now receiving from her. finger mostly took notice when I guess she was checking my rings out too lol not sure as for pressing them to see how alive I am with blood pressure and circulation you can tell by pressing the fingers this way. Any way very magical and warm felt experience this first made contact between us. from the soul and heart of all that is I.
and if the urge is too strong will do it anyway. This read is going to be about dreams and although I love to write some things like shopping lists, keeping a diary and or writing my dreams down I do not feel drawn to. it will not be a book lol. Why dreams? What does dreaming have anything to do with it all are we awake when sleeping? Dreams have so many layers and facets to this topic and might add somewhat challenging to write about and what it even has anything to do with Almine as I attempt to stay with it here. too many distractive memories and experiences that the heart hold memory from how these dreams make us feel and later unfold interpreting into even 3 dimensional realities from quantum perspectives. either nor in this time line. and can vary from written sources. For me it goes as far back as the late 80’s early 90’s however a lot has happened since then. What I found most interesting was that it can be done even with your significant other to dream and be in the same dream when going to bed. It got a little scary one morning when her feminine grey was holding me down as I caught a glimpse of her waking up(nearing the very end of that relationship 2011). 2010 I never would have believed in Aliens even if I myself experienced things before and feeling like one growing up. This I can write about and maybe incorporate some dream experiences too at a later date perhaps. Dreams are very fascinating and so much to experiment and learn from. yesterday and I woke up feeling crummy. She was the one who tried to put my last significant other in a Gene bottle and cork her in I released her back out because no matter how things went I believe in freedom and setting things free. Confusing yes it can be as her last words to me before the lights went out were that I would never have to worry about my hair again “I will be taking care of your hair from now on”. Then the lights went out (industrial warehouse studio sort of place) and I could hear vibrating noise woke up must have been the trucks outside making the noise. although it felt like easterly more where it connects and becomes the Danforth or it could have been very well any city merchant street with businesses all around. and thinking I have to make a phone call as there were pay phones there near by. This is all I remember the colour red for some weird reason too keeps coming up don’t know. I looked up the Arcturians and found Almine not knowing anything about her. Even if I am getting a feeling that perhaps something else before in the early 90’s. to God hood segments is what I was doing new years eve. Then In March A week before I met her I guess it was a lucid dream is what these are. I would wake up with a feeling or rather that she walked into my bedroom (no it was not anything sexual although it made me wonder why I did not make any moves because I am not like that to force myself on others I did question it though and did not know of this to come up as interest it was a good feeling however to have her there in as some would say a sisterly way again not sure because do not know of this either The only one I ever used to sleep with like that was my Granny? Almine is far from ever looking this way in my world she is forever young looking. Almine now entering in This must have been some form of healing or allowing from my part not sure however do know that Almine is not out to hurt anyone must be a trust component. After making contact with Almine all other illusions of dreaming or coming into my dreams or etheral whatever contact it was I had with the hairdresser went away yay. Seeing how I got into this topic of what Almine means to me maybe I could enter tomorrow something I wrote on Ascension.net about her too that will help better explain and expand on this read. The Dream I had about Almine when I did not know who she was had to do with the Balvaspata retreat and the payphones to call was when I came home to make a long distance phone call to Jan to pay for it. Dreams are strange in that it can combine more than one place and time and happens so very fast that the brain can only make so much sense of however most of it is not done by the brain at all. I did have many more dreams with Almine after including this hole or space in the heart that was later discussed in the Genk retreat. Even Mark and Rogier too. Rogier had a Balvaspata Sigil he was showing me however not familiar with these Sigils and maybe under hypnosis could remember it or if I ever saw the Sigil might have a pull to it. to help detoxify the past sometimes it can be intense or feel like work. I love writing even if spelling and grammar need working on the ability to express and communicate in writing inspires me to keep writing and improving . I like the that this is not a competitive motive however rather an exchange of information that might be useful however in this creative expression I choose to make it a brief intro and would like to again submit more. dreams I have always even as far as I can remember witnessed my dreams into reality Certain things that I am still experimenting to make sense of with manifestations in that of Free Will can create Verses being delusional when it comes to beings rather than objects and dream state vs reality in the physical. However this here will be about my e-mail response to the Almine team after listening to a 1 of 3 meditations. Almine,s meditation and here was my response. Thank you yes it works and so does Almine on me. These samples are like (well a couple of them anyway) a half an hour long. I sampled the “Creating your sacred space” I found that when visualizing I feel then visualize before even the description is given. and made me jolt tremble out it came and my heart felt more open again and I felt a warm sensation(distal parts of of arms and legs) And as this warm feeling expanded outwards with eyes closed the blueish purple mist had now a beautiful rich green from within it and well can not remember the rest it this timeless occurrence. and what abundance really means I started crying lol well tears trickled down my cheeks to chest very nice feeling thinking Prime creator and becoming earth bound. I must stop here because those are the only two I sampled thus far. and perhaps make once more a contact because it is not about winning or losing here nor competing with one another. It is about creating that which is allowing itself to express part of creation authentically and uniquely so inspired and curious to learn more from the whole of this experience it motivates to inspire deeply from. a part of us that we connect to unknowingly with her that we/I the one seeks to find. Yes I would love to go cruising and/or anything and anywhere with Almine absolutely would be a bonus in addition to this like icing on the cake. I am so grateful that she is allowing us to keep expressing as much as we wish with these entries too. After anointing my body with the oils in preparation for Sabahut, I applied the sigils of the angels to my body. I have been becoming more aware of the angels, this is the first time I heard them. They told me that there is much more to the Sabahut than I was aware of. They were laughing and I began to laugh. After finishing the movements, I picked up the prayer to read. A feeling came to me to sing the prayer while dancing within the circle, which I did. The Sabahut was followed with calling the angel gods for Changing the Pattern of Reality – Transcendence, keeping the same circle. I felt a prayer within me, but could not find it. The angel gods showed me some stuck points in and around my head. They told me to close my eyes and dance. As I twirled around I felt the binding of the physical release and move away and a deep prayer welled up within me and flowed outward and into the ground for a gentle unfolding for the world. As I opened my eyes I was facing east and looking through the fork of the trunk a pecan tree. In that window framed by the tree, fireworks filled the sky with a ball of yellow and golden sparks. This was a professional one that soared high above the tall trees. I thought of the moon rising recently bathed in a golden color and of the vivid golden fields in the afternoon sun. And the question I had been holding onto of when will the realm of pristine man manifest, I realized that I am here now. I never knew angels were so prone to laughter. To get the party started I’ll add my own miracle story first (of course I want to go into draw box as well!) Years ago when I first started out with Almine’s teachings I’d shifted something in my lower back. Something just wasn’t right with the nerves and I’d been in pain for over two months. Anyone who has ever had lower back pain due to pinched nerves know how debilitating this can be. You cannot stand, sit, lie down or do anything without feeling the pain. On top of that I had a job that asked me to bend down and reach for things below my knees all the time. Suffice to say I had been in pain for two long months. I decided to do the ceremony of the 13 joints of man as outlined in the Way of the Toltec Nagual (currently under revision). This because the introduction to the ceremony stated ‘Discomfort in any joint area indicates that the perspective associated with that joint is too limited, rigid or is an obsolete part of the dream.’ At this point I was willing to do anything. So I went into the ceremony with the intent to dissolve my back pain and started to work with the insights and the wheels. As I passed the last wheel through my body, I smelled my dinner in the oven downstairs. I had put it in and was taking way longer with the ceremony than I had intended. I jumped out of bed, rushed downstairs and ran to the oven to save my dinner. As I bend down to open the oven door is braced myself for the shock of pain that was inevitably going to come. Nothing happened. No pain. I recalled that jumping out of bed and rushing down the stairs there was no pain either. I tried again. I bend over. No pain again. This could not be happening! After months of being in pain… nothing! I took it very slowly and tried some other moves. No pain. I could do any move I wanted. This, to me, was too much to call coincidence. Too much to throw on confirmation bias or the law of large numbers. This was a miracle. I had done the ceremony, set my intent, worked on the insights, and… my pain that I could not get out of my body was really gone! This to me is a miracle. Thank you Almine for the insights and for the ceremony. Niels – My Ascension experience commenced much like yours. On December 15th, 2012, I chaperoned my then 2nd grade grandson’s class to LegoLand. I did nothing that day that should have caused me to be almost immobile the next morning with a lower back issue, but I was. For the next 12 weeks, I couldn’t walk more than a few feet, couldn’t sleep more than 15 minutes at a time and then only on my left side, couldn’t sit in a chair, couldn’t drive a car or be in the passenger seat for more than 15 minutes. X-rays, MRI’s, chiropractors, neurologists, neurosurgeons – I had no relief. March 5th, 2013, my back pain had abated enough for me to resume walking, and that Tuesday morning, I was going to go about 1/2 mile (had routinely walked 6 miles 4 days a week before the extruded L3 vertebrae) around the lagoon. A couple hundred yards into the walk, I made this petition “My life has been on cruise control for 10 years. I am content being my wife’s husband, my grown children’s father, and my grandchildren’s Papa, but if it is your will, I am willing to REDIRECT my life. I have walked thousands of miles and prayed thousands of prayers, but I have never made that petition. 4 hours later, my wife of 45 years went into full cardiac arrest. The next 17 days are chronicled in the book I self-published and you can learn about on my website. If you have any interest in learning more about this experience, I will gladly send you the book at no charge. If you feel that my experience is one worth sharing, I would like to learn more about the cruise this summer. I went to a private retreat with Almine in November 2012. One night I waked laying on my back, and felt my tailbone in a way was sucked down in the mattress. I felt so much energy coming to me from the earth, and my breath totally stopped. I understood that, if I could have that kind of connection in my daily life, I would never need to eat or breathe. When I told Almine about my experience, it happened to be the key that made her receive the 7 breath of Arasatma.